Come enrich your faith to practice your beliefs in combating racism. Leader: Heidi Kim, Missioner for Racial Reconciliation for The Episcopal Church As the Missioner for Racial Reconciliation for the Episcopal Church, Heidi Kim is responsible for facilitating the establishment and growth of networks in the Church that confront structural issues of racism in society and the church. Her approach begins with accountability to our Baptismal Covenant’s call to “seek and serve Christ in all persons, loving your neighbor as yourself” and to “strive for justice and peace among all people, and respect the dignity of every human being.” She believes that true reconciliation involves lovingly embracing the vast diversity of background, belief, and experience found in the Body of Christ, and focusing on our common ministry. Spanish interpretation available upon request. Cost $20, lunch provided. Scholarships available. Registration Register by Tuesday November 1 online or contact Mary Anne Clisham, 609 394-5281, ext. 10. 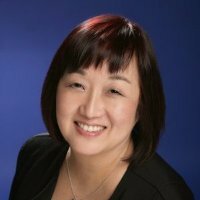 Contact Canon Noreen Duncan, 646 932-9515 Heidi Kim has an extensive background in both secondary and higher education. She served as a Diversity Director for a Jesuit high school for six years, and taught courses at the college level in Sociology, Anthropology, Women’s/Gender Studies, American Studies, and Ethnic Studies. She also has extensive experience as a professional classical soprano, having sung with several of the nation’s top professional chamber choirs. She currently serves as the soprano section leader for the critically acclaimed ensemble, Seattle Pro Musica, and is in demand as a soloist with other choirs and festivals. Heidi is a graduate of Brown University, holds an MA in Sociology from UCLA, and is currently completing an Ed.D. in Educational Leadership at Seattle University. She is married to Dr. Alec Campbell, and has two teenage daughters, Fiona and Kiera. She attends St. Mark’s Episcopal Cathedral in Seattle, where she is a member of the Cathedral Choir.